Scholarships are made possible by gifts from individuals and families valuing the ministry that NAPAD provides. The funds are generated from interest earned on permanent funds and cash gifts, and are used as investments in persons preparing for the NAPAD ministry in the Christian Church (Disciples of Christ) in the United States and Canada. By completing an application, you will be considered for each scholarship for which you qualify. Please submit only ONE application. The scholarship committee determines for which scholarship each applicant qualifies. The maximum award for any recipient is only one scholarship award per academic year. It is each applicant’s responsibility to make sure all required documentation is received in NAPAD scholarship office before the deadline, including application, references, transcripts, and under care confirmation. The J. Soongook Choi Memorial Scholarship was established in memory of the Rev. Dr. J. Soongook Choi. The Rev. 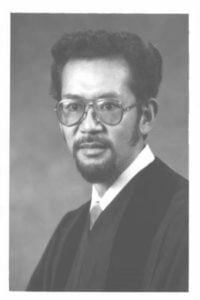 Dr. J. Soongook Choi was a Korean-American minister of the Chrisitan Church (Disciples of Christ). He was born in and spent his childhood in Japan, but traveled to Korea with the Student Volunteer Corps during the Korean War. Out of his painful experience in the conflict of inter-and intra-racial relations among Asian nations, he became a seeker for peace and justice in a world community of different peoples. Upon returning to Korea from Japan, Dr. Choi joined the Campbell-Stone movement (Christian Church—Independent). 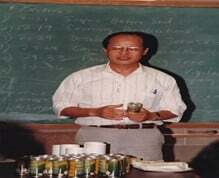 In 1959, he came to the United States for advanced theological education and earned several academic degrees. 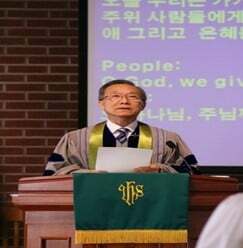 He was ordained in 1962 and served as a local pastor, hospital chaplain, professor and president of Seoul Christian University (in Korea), and member of the General Board of the Christian Church (Disciples of Christ). He had been a key figure in the life of the North American Pacific/Asian Disciples (NAPAD), especially for the growth of the Disciples church in the Korea-American community. To carry on Dr. Choi’s legacy in ministry, his friends and relatives established a scholarship fund on the day of celebration of his retirement. The Choi Scholarship is available to Disciples seminarians of Asian and Pacific Islander descent who are in preparation for ministry in a multi-racial/cultural community. The Kagiwada Memorial Fund was established in memory of the Rev. David Kagiwada. David was a native of Los Angeles and a second-generation Disciple. He graduated from the University of Chicago Divinity School and was ordained in the Illinois/Wisconsin Region of the Christian Church (Disciples of Christ). Focal points in his ministry included efforts to reconcile and heal antagonism among all people; support and be an advocate for racial/ethnic minorities and women; and helping the church recognize and appreciate the gifts of people of Asian heritage. 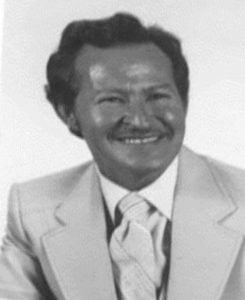 David faithfully served five congregations in California and Indiana. David was the first Convener of the American Asian Disciples (now, North American Pacific/ Asian Disciples). The Kagiwada Scholarship is available to North American Pacific/Asian Disciples ministerial students enrolled (or accepted as an entering student) in an accredited graduate theological school or seminary. For more information or questions, please contact Tom Hyoung Chel Yang, NAPAD Minister for IL/WI Region: [email protected]; (847) 414-8708. 이 장학금들은 네이패드에서 제공하는 사역을 귀중하게 생각하는분들이 설립해주신 기금들입니다. 영구적으로 기탁된 예금으로부터 창출되는 이자 또는 헌금으로 구성된 이 기금들은 미국과 케나다의 크리스천교회 (제자회)의 내이패드 사역자로 준비되어지는 분들을 후원하는데 사용됩니다. 한 해에 한 종류의 장학기금만을 수혜할 수 있기 때문에 각 신청자는 이들 장학기금들중 하나를 선택한후 해당 신청서를 작성/제출해 주시기 바랍니다. 장학금 위원회가 각 신청자의 수혜 자격 여부를 결정하게 됩니다. 각 신청자들은 네이패드 장학금 사무소에 필요한 모든 서류(신청서, 참고인, 성적 증명서, 지방회 인증서)들이 마감일 전에 접수되었는지 직접 확인하여 주시기 바랍니다. 최순국 기념 장학기금은 닥터 최순국 목사님을 기념하기 위하여 설립되었습니다. 크리스천교회(제자회)의 한인 목회자였던 최순국 목사님은 일본에서 출생하고 유년기를 보내셨지만 한국전쟁당시 학생 자원 봉사단으로 한국을 여행했습니다. 최 목사님은 아시아 지역내 국가들의 국내 또는 국제 관계에서 발생되고 있었던 인종/민족간의 갈등이 주는 고통의 경험을 통해, 다양한 사람들로 이루어진 세계 공동체의 평화와 정의를 추구하는 사람이 되었습니다. 일본에서 한국으로 돌아온 최 목사님은 캠벨-스톤 운동(그리스도교회-독립)에 합류했습니다. 수준높은 신학교육을 받기 위해 1959년에 미국에 왔던 최 목사님은 여러 분야의 학위를 받았습니다. 1962년에 안수를 받으신후, 목회자, 병원 원목, 한국의 서울 기독교 대학교 교수 및 크리스천교회(제자회)의 이사회 회원으로 봉사했습니다. 미주 한인사회에서 제자회 교회를 설립하고 성장시키는데 크게 이바지했던 최 목사님은 네이패드의 핵심 인물이기도 했습니다. 최 목사님의 가족, 친지분들은 최 목사님의 은퇴 기념일에 이런 최 목사님의 사역의 유산을 이어가기 소망하며 이 장학 기금을 마련했습니다. 이 장학 기금은 다민족/문화 공동체의 사역을 위하여 준비중인 네이패드 신학생들에게 제공됩니다. 가기와다 기념 기금은 데이비드 가기와다 목사님을 기념하여 설립되었습니다. 로스 엔젤레스 출신이고 제 2세대 제자였던 가기와다 목사님은 시카고 대학 신학교를 졸업하고 크리스천교회(제자회) 일리노이/위스컨신 지방회에서 안수를 받았습니다. 네이패드 초창기 모임의 주창자이기도 하셨던 가기와다 목사님은 사람들간의 적대감을 치유하고 화해를 증진시키기 위한 노력; 소주 민족과 여성들의 지위를 향상 시키기 위한 노력; 아시안들의 문화와 유산들이 존중받게 하기 위한 노력들에 심혈을 기울였습니다. 가기와다 장학 기금은 정식 신학교나 신학 대학원에 재학중이거나 입학이 허락된 네이패드 신학생들에게 제공됩니다. 유근희 언약 기금은1992년 부터 2011년까지 네이패드 초대 실행목사로서 봉사 하셨던 유근희 목사님 사역의 유산을 이어가기 위하여 2012년에 개최되었던 제17차 네이패드 총회에서 설립되었습니다. 유근희 목사님은 개척교회 설립을 향한 흔들림 없는 열정과 지칠줄 모르는 봉사정신으로 영감을 주고 계십니다. 유근희 언약 기금은 네이패드의 개척 교회들이 지속적으로 성장하면서 선교사역을 펼칠수 있도록 후원하는 것을 목표로 합니다. 유근희 언약 기금을 위한 PDF 신청서는 아래의 링크를 통해 다운로드 받으실수 있습니다. 해롤드 존슨 유산 기금은 2014년 네이패드 이사회의 연례회의에서 네이패드의 “할아버지”로 사랑받는 해롤드 목사님의 유업를 기리기 위해 설립되었습니다. 해롤드 존슨 목사님은 네이패드 제자들의 재능이 존중받는 포용적인 환경을 조성하기위한 사역에 많은 노력을 기울였습니다. 존슨 목사님의 이런 사역의 유산은 아시아- 태평양 지역출신들, 여성 지도자들, 청소년들이 모두 함께 참여할수 있는 다양하고 포용적인 커뮤너티를 조성하기 위한 노력이 지속적으로 이어질수 있게 도와줍니다. 해롤드 존슨 유산 기금은 네이패드 교회들이 청소년과 여성들을 위한 사역을 활발히 전개하는데 돕는 목적으로 제공됩니다. 해롤드 존슨 유산 기금을 위한 PDF 신청서는 아래의 링크를 통해 다운로드 받으실수 있습니다. 더 자세한 내용이나 질문은 Tom Hyoung Chel Yang 일리노이/위스컨신 네이패드 목사에게 연락하시기 바랍니다: [email protected]; (847) 414-8708.